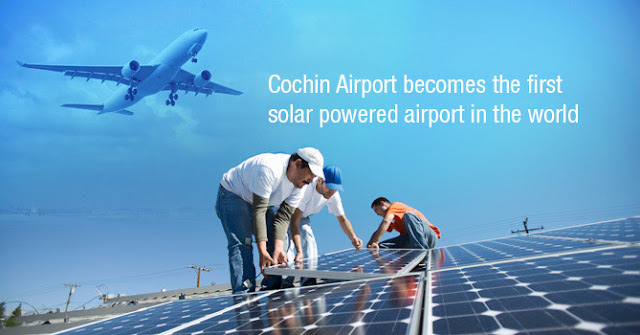 Kochi (Cochin) is considered as the Gateway to Kerala and the nearest airport at Kochi is Cochin International Airport. While booking flight tickets use the destination airport code as COK. If you are booking from an International Online website, you may get confused as there is a destination in JAPAN with same name as KOCHI. But Kochi- Japan airport code is KCZ. Other airports in Kerala are Trivandrum International Airport (TRV) in south & Calicut (Kozhikode) International Airport (CCJ) in north. For all tourist travelers, Cochin International Airport (COK) is the best place to arrive as it is ideally located at central Kerala close to the commercial capital of Kerala- Kochi and most of the tourist locations like Kochi, Munnar, Athirapally, Thekkady & Periyar, Alleppey & Kumarakom backwaters, Marari beach etc. For Domestic Travellers- Major cities in India like Mumbai, New Delhi, Bangalore, Chennai, Pune and Hyderabad have many direct flights to Kochi- Kerala. So travelers from other destinations can take an indirect flight through any of the above airports. For International Travellers- All major cities in Gulf countries like Dubai, Abhu Dhabi, Sharjah, Doha, Kuwait, Manama, Oman, Riyadh, Damam etc., have enough daily direct flights to Kochi and it may take 3.55 to 5 hrs. to reach Kochi from the above cities. Eastern countries like Malaysia (Kulalambhur) and Singapore also have daily direct flights to Kochi. So travelers from other destinations can take an indirect flight through any of the above airports. Cochin International Airport is the first in India developed under Public- Private (PPP) model and was funded by nearly 10,000 non-resident Indians from 30 countries and is owned by a public limited company called Cochin International Airport Limited, better known as CIAL, floated by the government of Kerala in 1994. Location: 32 Kms North East of Kochi town at a place called Nedumbassery. Traffic: It is the 4th busiest airport in India in terms of International traffic after Mumbai, Delhi and Chennai and this airport is the primary base for Air India Express. Cochin International Airport is the WORLD’s FISRT COMPLETELY SOLAR POWER AIRPROT (By 18th August 2005). More than 20 Flight Operators have daily operations from CIAL in domestic and International Routes. 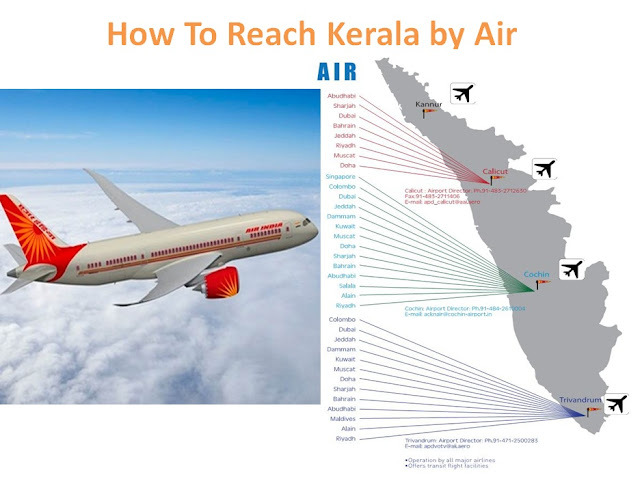 Major Indian Cities like Mumbai, Bangalore, New Delhi, Chennai, Pune , Hyderabad etc and International flight hubs like Dubai, Doha, Abu Dhabi, Kula lambur, Singapore etc.. are connected with Kochi by direct daily flights.